Possibly outback Queensland’s most renowned and remote town, the name Birdsville prompts thoughts of pioneering history and outback adventure in the ‘back of beyond’. 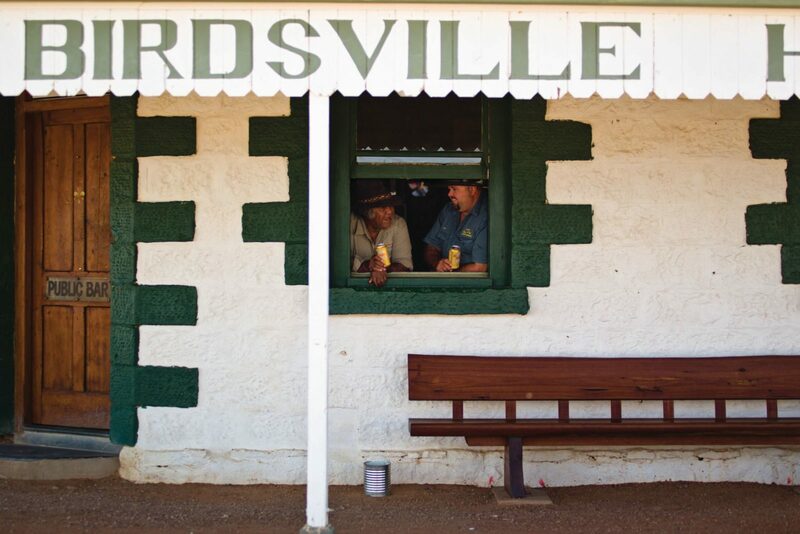 Once a toll point for stock crossing the Queensland and South Australian border, Birdsville had a pre-federation population of over 300. With federation came the town’s decline into a town supporting pastoralists on surrounding cattle stations until tourism increased and the lure of the treacherous Simpson Desert and legendary Birdsville Track began to attract four-wheel-drivers in droves. 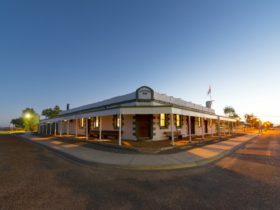 These days, Birdsville is a thriving community of 115 people with a pub, bakery, caravan park, two service stations and general stores and an excellent display of artwork and artefacts in the Wirrarri Visitor Centre. Come September, an influx of up to 8,000 people descends upon the tiny town for the annual Birdsville Races, which many call ‘the Melbourne Cup of the outback’. The event has delighted race-goers for more than 125 years and is listed as one of the ‘100 things to do in Australia before you die’. ‘Big Red’, the 40 metre high sand dune on the edge of the Simpson Desert, the world’s largest area of parallel sand dunes, is the best spot to watch the sun set. Have the experience of a lifetime at the world’s most remote music festival, the Birdsville Big Red Bash in the heart of Australia’s outback! The three-day festival returns from 4 to 6 July 2017, at Big Red. The old Diamantina Crossing is the pick of fishing spots in the mighty Diamantina River. 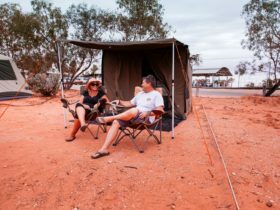 One of Burke and Wills’ camp sites is marked with a blazed tree and the largest patch in the world of rare Waddi Trees, or Acacia Peuce, stand boldly on a gibber flat 12 kilometres to the north of the town; one of only three such patches in the world. Birdsville is a small Queensland Rural Location within the local government area of Diamantina, it is located approximately 1368kms from the capital Brisbane covering an area of 32959.52 square kilometres. Birdsville has a recorded population of 140 residents and is within the Australian Eastern Standard Time zone Australia/Brisbane. If you are planning a visit to Birdsville we’ve put together some of the things nearby that you can see or do while you are here. These include, places to stay, tours and attractions, some upcoming events and places where you can grab a meal. Go ahead, try one of the buttons above. Every destination has something worth seeing so start exploring… If you know Birdsville and think we’ve missed something, let us know and we’ll share it here.